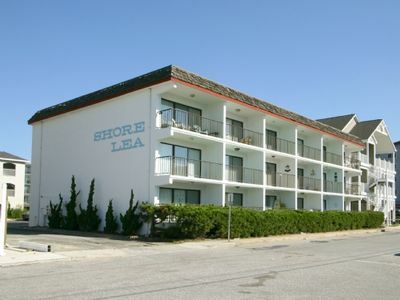 Oceanfront condos with rare 2 night minimum rentals and linens included! 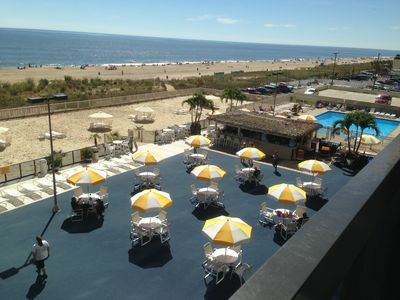 The Windjammer located ocean front on 46th street, offers that wonderful retro Ocean City feel. 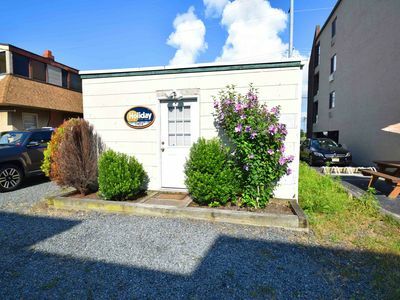 This 1 bedroom, 1 bath unit can sleep a family of 4. 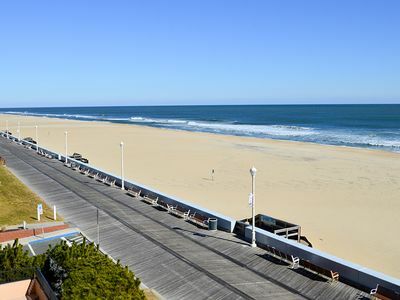 Providing the perfect setting for a memorable visit to Ocean City, Maryland. 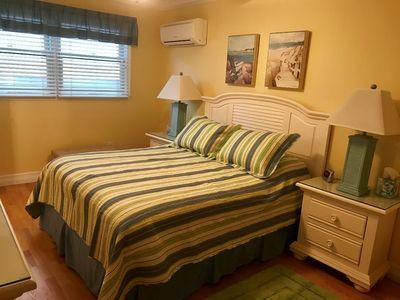 A one of a kind family vacation destination, each unit is individually owned and decorated offering the guest a unique feel and comfortable stay, with direct beach access and ocean views. 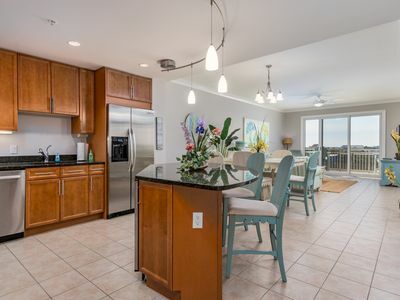 Enjoy the one of a kind private sand patio, for grilling, picnics and play, free Wi-Fi, flat screen tvs, and onsite check in and check out. 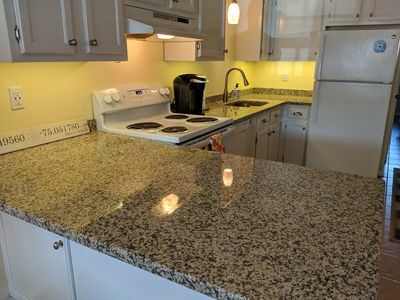 Our condos are stocked and ready for you with towels, linens, cookware and utensils. 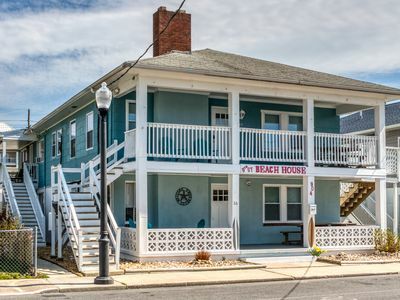 Don’t pass up on the chance to stay at your home away from home at the beach! This unit permits up to 2 dogs, 50lb limit for one pet or 70 lb combined limit for two pets. 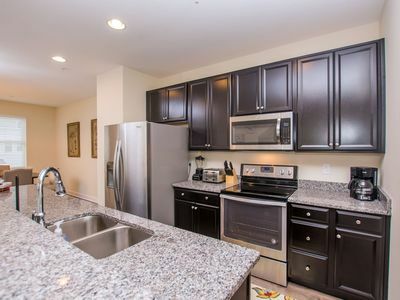 There is an additional $25.00 per day pet fee. 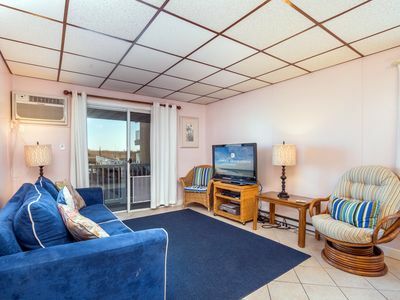 Although pets are allowed all season, absolutely no pets on the private sand patio courtyard. There is a designated pet area supplied with waste bags, just a minutes walk away. 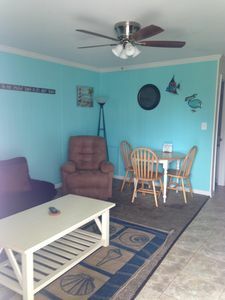 Property owner does not permit group rentals to guests under the age of 21. 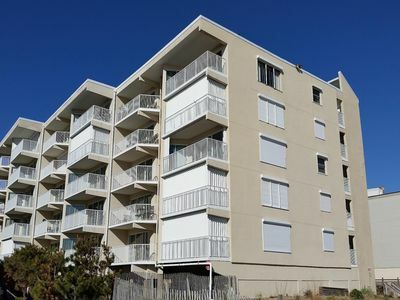 Please be advised, we do not advertise any properties on Craig's list. 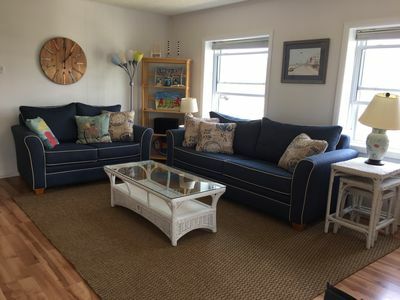 If you see the content of our listings on Craig's list it is not a legitimate ad from Central Reservations..
Great Oceanfront on Boardwalk - Wi-Fi, Walk to Rides, Beach & Dining! 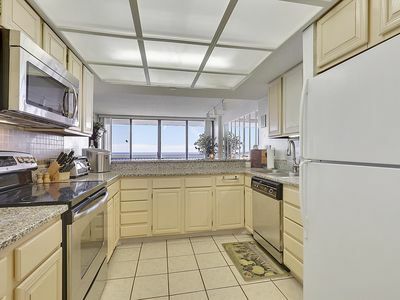 Bayfront Luxury Amazing View, Walk to Beach + Boardwalk, and pool. Brand New! 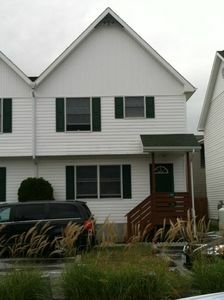 Gorgeous W. OCMD Home w/ Pool - Next to Outlets & Restaurants! 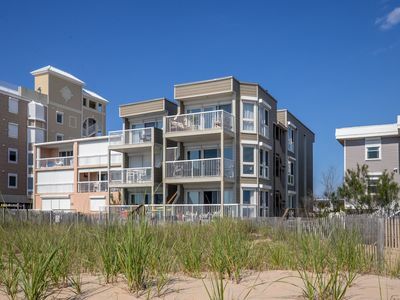 Stay Oceanfront in North Ocean City! 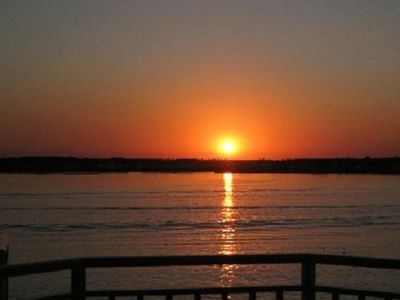 Updated Condo - Beautiful Sunrises! FREE DAILY ACTIVITIES! FREE WIFI!!! 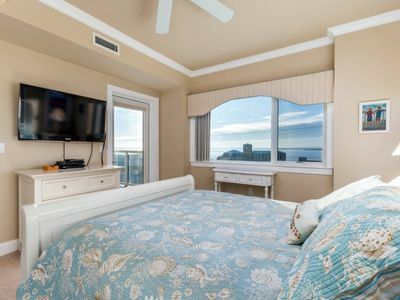 STUNNING OCEAN & BAY VIEWS!! 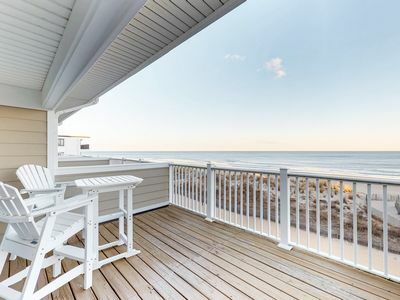 Relax by the ocean in this beautifully decorated home away from home! 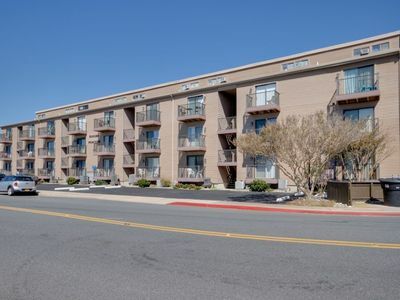 Two first floor condos w/ furnished decks, full kitchens, & free WiFi! 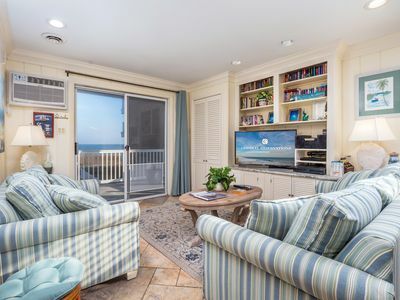 Bright, Beachy & Luxurious - Wi-Fi, Premium Cable & Ocean View!